Helen Sloan/HBOFor years, fans have believed that Cersei has some sinister plans for King’s Landing. Warning: This post contains spoilers from the “Game of Thrones” episode “No One” as well as future predictions. Things are looking pretty grim for Cersei Lannister right now. Despite the loyal, zombiefied Mountain by her side, she has found herself incapable of taking back control of her son, King Tommen, and King’s Landing. In the latest “Game of Thrones” episode, “No One,” Tommen outlaws trial by combat — ruining Cersei’s plan to escape the wrath of the Faith. 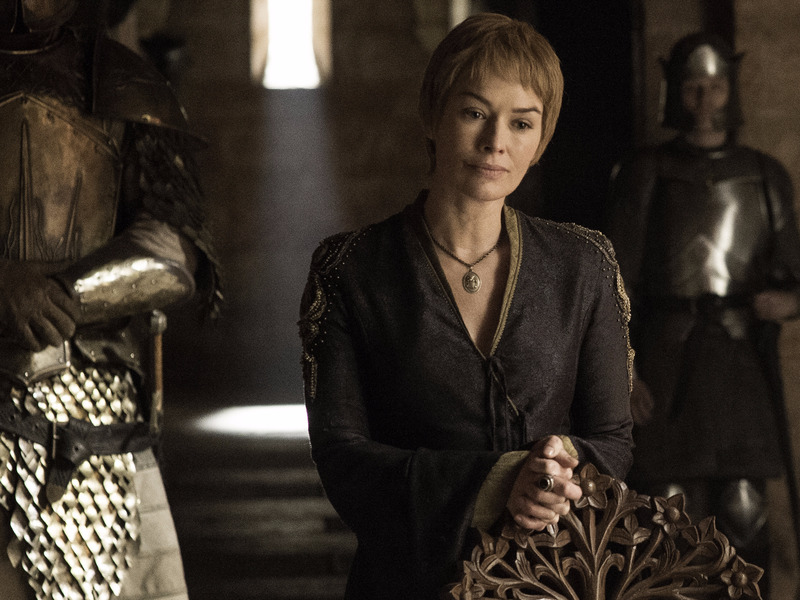 With Cersei backed into a corner, fans believe that a longstanding theory is about to come true: Cersei is going to burn King’s Landing to the ground with wildfire. 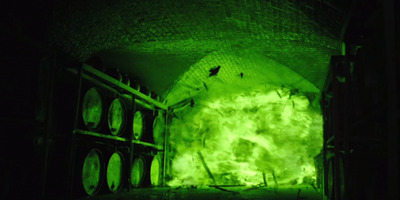 The theory is that Cersei sent Qyburn on a mission to investigate an “old rumour” that there are hidden stashes of wildfire all over King’s Landing that could be used to burn down the city. It’s believed that the Mad King put them there, but died before he could set them off. After that, we see the wildfire go off. As “Game of Thrones” expert Kim Renfro at Tech Insider points out, this is likely a flash forward rather than a flashback because the Mad King was never able to execute his plan. HBOThere’s a stash of wildfire hidden under King’s Landing, and Cersei could be the one to ignite it. The show seemed to confirm the existence of the stash in “No One.” After Tommen outlaws trial by combat, Cersei asks Qyburn what he knows about that “old rumour,” and he says it’s true. Will Cersei really do it? In “No One,” Jamie even alluded to the idea of burning a city to the ground in the name of love. A lot is at stake for Cersei right now. She is fearful for her own life and angry about the loss of both her son and her city to the Faith. There is a chance she destroys all of King’s Landing, or at least just the Sept of Balor. And if the hints aren’t enough evidence for you, then check out an interview Jonathan Pryce, who plays the High Sparrow, did for Polish website Kawerna. In the translation, Pryce describes Cersei’s future trial. He says that an “unpleasant surprise” awaits the High Sparrow. He doesn’t elaborate much further, but either way, it sounds like the Faith is in for quite a fight.